It is official. 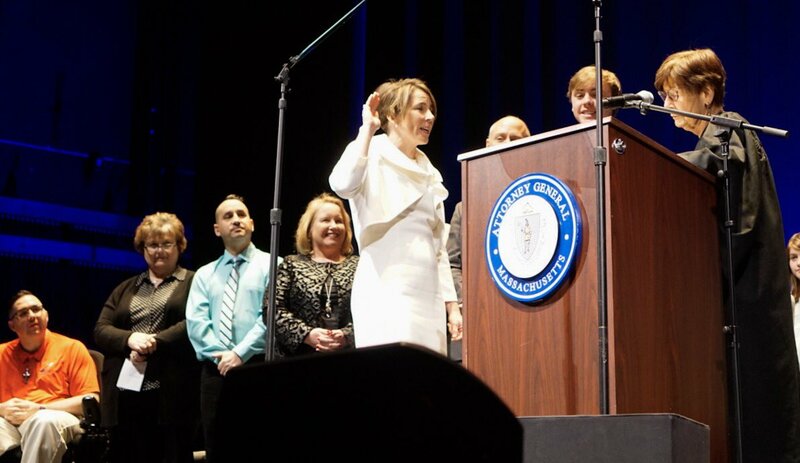 Maura Healey is once again the top lawyer for the Commonwealth of Massachusetts. She was sworn in on the 16th at the Emerson Colonial Theatre. When Attorney General Healey laid out her priorities for the next term, she focused on the opioid crisis and gun reform. The attorney general listed her first term achievements which included expanded opportunities for minority communities and financial help for college students. “To truly address disparities and barriers, we know you need a voice in every discussion and a seat at every table,” Healey said. She went on to discuss campaign donations, child separation at the southern border, and protecting the Affordable Care Act. Healey had already made headlines in her first term as she became the first openly gay attorney general in the United States.